The Heart Spark is a heart-shaped pendant which flashes light emitting diodes in time with your heart beat. 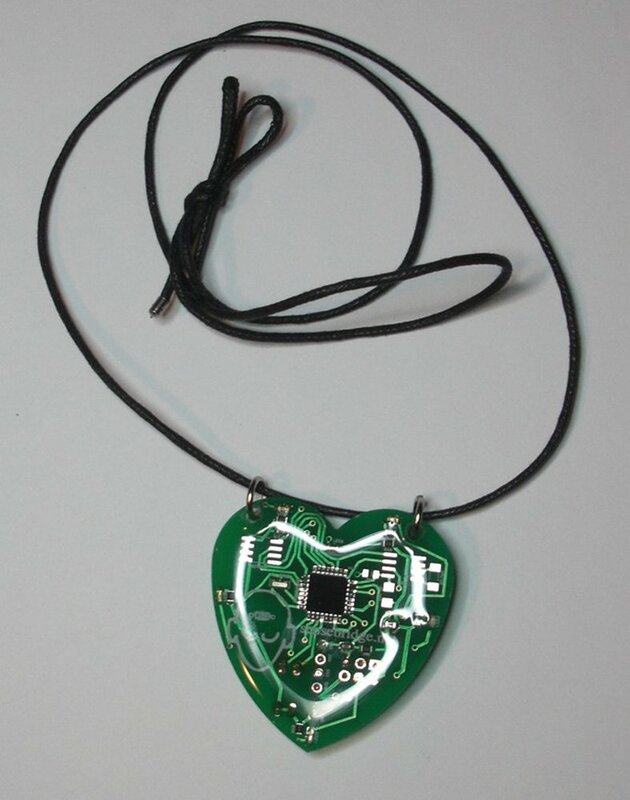 A polar chest strap with transmitter is used to measure your heart beat, which is transmitted wirelessly to the pendant. An arduino-compatible circuit captures each beat as it happens and flashes LEDs.